Whole Body Thermometry is a non-invasive technology that provides evaluation of key breast health factors such as endocrine and immune system function, as well as systemic toxicity. Mammography, ultrasound and MRIs are diagnostic imaging that analyze your breast anatomy. 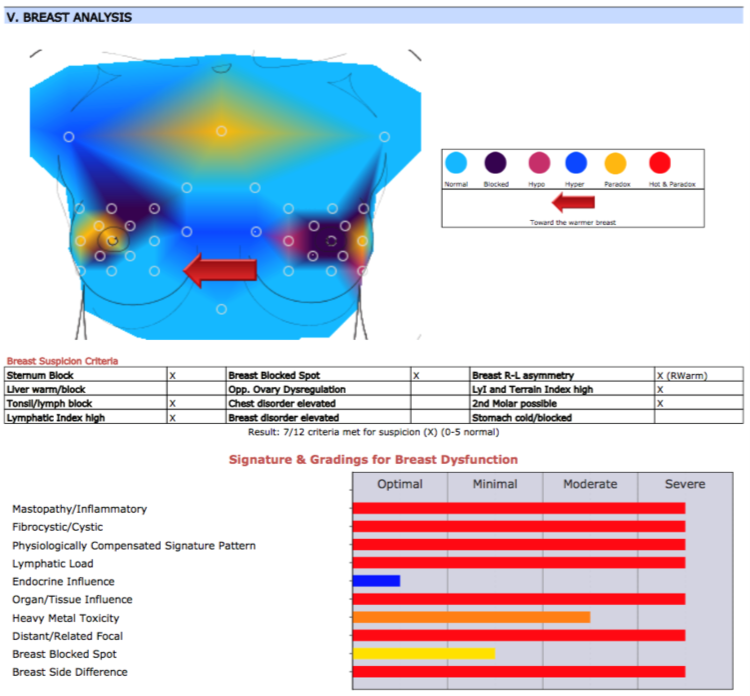 Thermometry is a functional test that analyzes your breast physiology. Mammography detects the presence of abnormal tissue density and growths, while Thermometry reveals dysfunction and underlying causes. 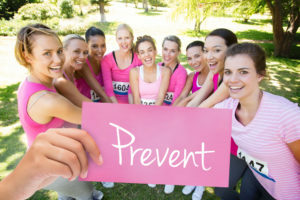 Adding additional breast screening, such as Thermometry helps women to make sure they are on the right road to prevention and restoration of health. Thermometry findings can reveal the suspicion that a serious disease is under way in the physiology, which would warrant further testing. Thermometry is a valuable first line health screening in that respect, but no medical test should be a stand alone tool and every test should be used in conjunction with other tests. It is often used with patients to understand underlying causal factors of disease and help determine an effective treatment strategy. Regulation Thermometry should be considered for routine use in conjunction with other modalities for screening and diagnosis. A baseline Whole Body Thermometry should be recorded in all women, regardless of age, in order to minimize the risk of complacency as a result of a reliance on family history or negative findings from physical exams and other diagnostic imaging. Contact us today to schedule your Whole Body Thermometry to make sure you are on the right road to prevention and restoration of health. Vitteta, Luis et.al. 2010, Contact Regulation Thermography. Swinburne University. Beilin, D. 2011; Regulation: An Extended Paradigm. Lecture, Baden-Baden Medicine Week. Like us on Facebook for coupons, special offers and important updates.